I was really really hoping the slight shimmer that is visible in the bottle would translate onto the nail... but no, it did not. 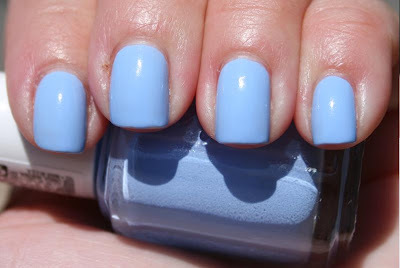 Just looks like a pretty periwinkle cream on the nails. I did three coats because there was some sheer-ish spots after just 2.